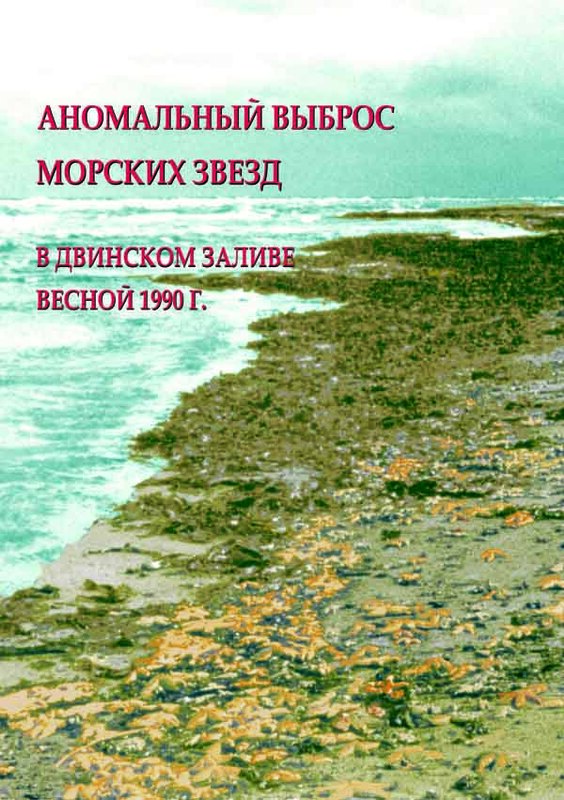 December The Russian publishing house KMK presents a new book by Doctor of Biological Sciences Andrey Naumov "Abnormal discharge of starfish in the Dvina Bay in the spring of 1990" (in Russian). Dr. Naumov is a scientific reseacher at the White Sea biological station of the RAS Zoological Institute. The staff of the “Kartesh” biostation came to investigate the accident and put forward a surprising hypothesis, that the death of starfish occured due to natural causes. Later long-term field studies of benthic communities confirmed this assumption. as well as in newspaper and magazine articles. The author proves that the abnormally high starfish numbers in the storm surge area were caused by quasi-cyclic fluctuations in the population of the lower-level prey species. Yet, the main goal of the book is to demonstrate that such matters can not be solved from a preconceived position, ignoring biotic interactions in communities.